Utility installation for infrastructures, housing developments and all projects. Whether piping or conduit, our crews will complete the trenching, boring, plowing or excavating that meets the needs of your site plan. RP Companies maintains natural gas construction crews in Arizona and the equipment for all aspects of natural gas piping installations. Gas line services include installation, maintenance, repair for commercial or residential properties. Our electrical division provides the highest levels of commercial electrical service in Arizona. We have the equipment and skilled manpower to provide your project with all aspects of the installation from underground to all above ground up electrical. We provide project management and oversight throughout the southwest. Communication and meeting expectations are the key factors to ensure projects run efficiently and maintain an accurate timeline and budget. Our way of doing business video! RP Companies reputation is built on TRUST, INTEGRITY and PROACTIVE CONSTRUCTION SOLUTIONS. We commit to our customers to complete their projects on time, within budget, with the best possible solutions and value. These company standards have allowed us to earn clients for life. It is more important than ever to ensure that the construction firm working on your project or designing your project is committed and dedicated to quality, financially prepared to complete your project and the successful outcome of the project is their top priority. RP Companies is the right choice for your projects. 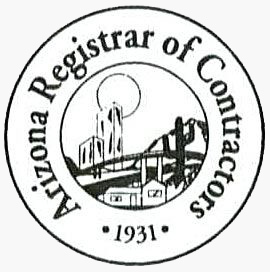 RP Companies is a Phoenix, Arizona based Commercial Construction Contractor. We specialize in General Engineering Services, Commercial Electric, Underground Utility Installations, Natural Gas Pipeline Construction, Telecommunication Construction, Project Management, Public Utilities, Wireless Communication and Rural Utility Services.